Some people can never get enough of anything! 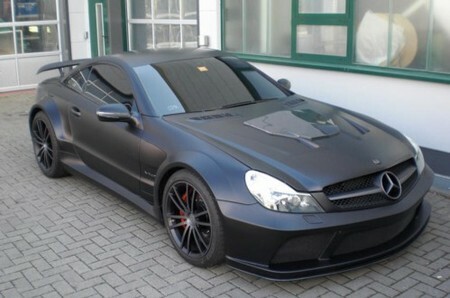 So even the 670 hp of Mercedes SL65 AMG Black Series don’t phase them. That’s why tuners like Brabus exist to satisfy their never ending thirst a bit. This car you see here is called the Vanish and it’s a one-off model prepared by Brabus for a rich customer, and it has 800 hp! To get this much power out of the Merc’s V12 engine, they have fitted larger turbochargers along with intercoolers, and a whole new exhaust system, plus a special gearbox and bigger brakes to make it drivable . We just wish they could design a better looking engine cover for it!